1 xDell PowerEdge 2970 2U Rack Server. Model No: PowerEdge 2970. Processor: 2 x AMD Opteron 2389 Quad Core 2.9GHz OS2389WHP4DGI. Storage: 2 x 600GB 2.5" SAS 10K HDD. DELL POWEREDGE 2970 HEATSINK. CLEARANCE SALE. The majority of our products are "USED" and "REFURBISHED". 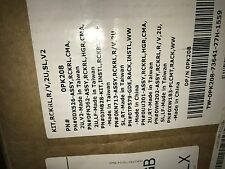 Part Number(s) 0PK208 - KIT, RCKRL,R/V,2U,SL,V2. Dell PowerEdge R610. Lolum commodo volutpat a, convallis ac. Convenient Prepaid Labels and Collection Service. Alternatively, you can collect the parcel from your local depot. Fits Dell PowerEdge 1950, 2900, 2950, 2970, M600 an other Servers and is required to enable to TCP/IP Offload Engine (TOE) functionality of the on-board LAN ports. PART NUMBER # varies pk208 or similar. MODEL DELL VERSA-RAPID RAIL POWEREDGE 2950. These rails can also be used with a DELL rack if the RAPID RAILS are not available, however they must be mounted using the screws through the square holes rather than snapping in. PowerEdge 2970. PowerEdge M605. PowerEdge M805. PowerEdge M905. PowerEdge R805. PowerEdge R905. PowerEdge SC1435. Compatibel with: PowerEdge 2950 2970 Servers. Manufacture: Dell. Part Number: 0WM202. Dell PowerEdge 2970. 2 x 2.8Ghz Opteron 2220. 146GB HD Sas HARDDISK Installed. 16GB RAM install. Plus d'information?. More information?. Including Official Invoice. Model: 2970. Manufacturer: Dell. We do our best to fully describe the condition of each item. Dells' Part Number: WM202, KN713 GM761 UN443 K8766 or similar. 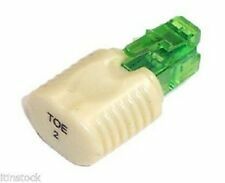 Manufacturer Part # WM202, KN713 GM761 UN443 K8766 or similar. Models: Dells' Part Number: WM202, KN713 GM761 UN443 K8766 or similar. Rack mount Dell P/N UN443 K8766. Ref: Y2/B2/S2 Y001. Dell equivalent Part Numbers: WY335 0WY335 H726F 0H726F NU209 DX481 T774H T954J JC881. ® based card supports PowerEdge internal storage. The card also supports Hot-Swap functionality for ease of maintenance. PowerEdge 1950 2950 Remote Access DRAC 5 - WW126 / G8593. DELL Part Number - WW126. DELL PowerEdge 1950 2950 Remote Access DRAC5. It can log event data and the most recent crash screen to help you diagnose the probable cause of a system crash. 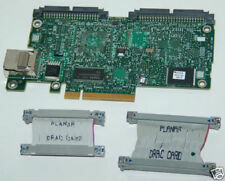 Dell Dual-Port Gigabit NIC Server Adapter PCI-E 0X3959. DPN: X3959. The dedicated input/output (I/O) bandwidth of PCIe ensures priority performance on each port—without bus sharing—for Gigabit Ethernet connectivity in Category-5 networks. Server parts. CPU heat sinks / coolers. HDD / hard disk drives. We try as soon as possible for a fair solution for you! We will try to find a quick and fair solution for you! We do not have any influence or responsibility on your national laws! (Part number: WR010 or 0WR010). for the model Power 2970. Original DELL CPU Heatsink / CPU heatsink. Fax: 0341 860 36 74. Part Number: DX481, 0DX481, E2K-UCP-61-B. PowerEdge 1950, 2900, 2950, ​​2970, M605, R200, R210, R300, R510, R610, R710, R900, R905, T105, T310, T410, T605, T610, T710. PCI-E x8 SAS PERC6I. Condition: refurbished. Fully: TD977, 0TD977. PowerEdge 800, 830, 850, 1850, 2800, 2900, 2950, ​​2970, 6800, 6850. 128MB cache. State / condition: refurbished. Part numbers: UN443, GM761, 0UN443, 0GM761, 0PK208, PK208. 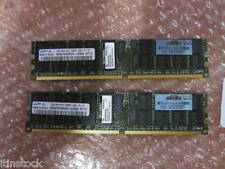 for the PowerEdge 2950 2970. Original DELL Versa Rail Kit / rack mounting rails. Marke DELL. Your Benefits. Part Number: JW063, 0JW063. PowerEdge 1950, 2900, 2950, ​​2970, M605, R200, R210, R300, R510, R610, R710, R900, R905, T105, T310, T410, T605, T610, T710. PERC6IR SAS PCI-E x8. Condition: refurbished.